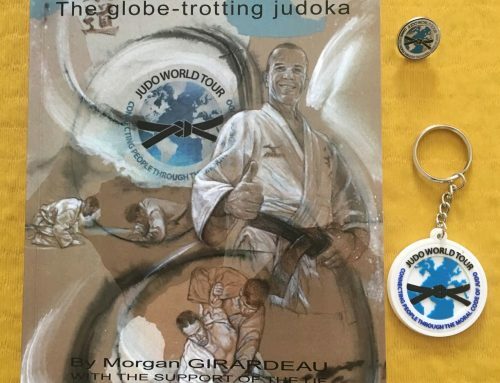 Athletes from the Jason Morris Judo Center (JMJC) enjoyed a great deal of success on the 2019 South American leg of the International Judo Federation (IJF) Tour. 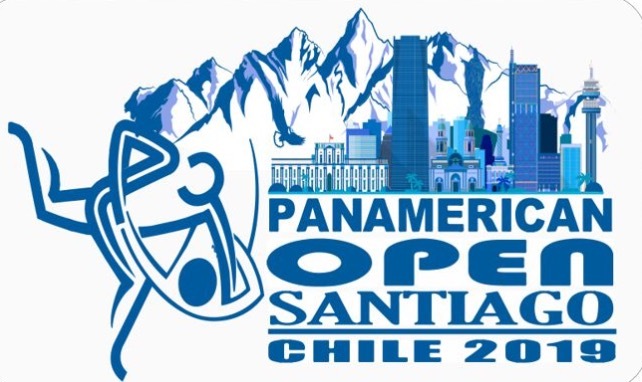 The tour started in Lima, Peru where Ari Berliner (20) & Darren Elcock (22) competed March 9-10. Berliner lost his opening bout at 66kg and was eliminated. Elcock also lost his first round at 60kg to add to the slow start for the tour. 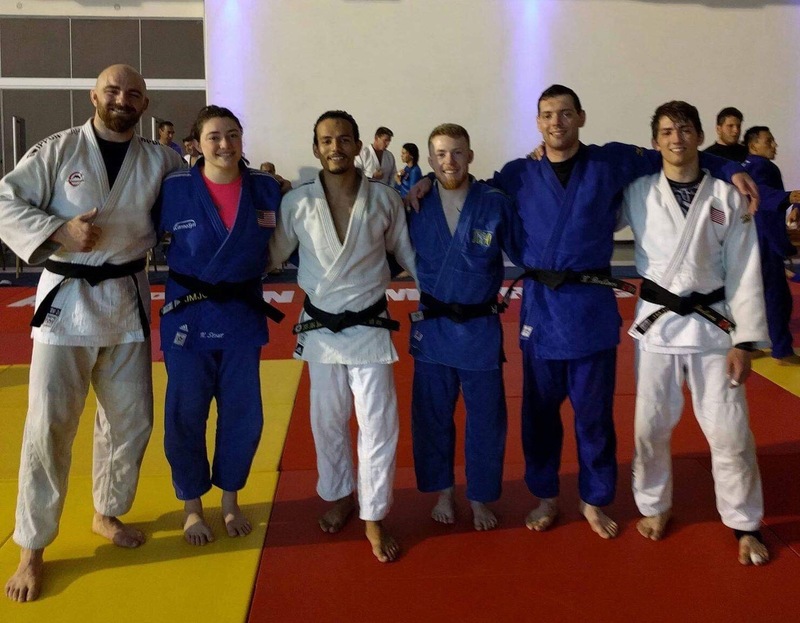 Berliner & Elcock then traveled to Cordoba, Argentina and were joined by JMJC teammates Kell Berliner (25), Zach Judy (25), Nate Keeve (22), & Nicole Stout (21) for the IJF tour event March 16-17. Keeve led the way picking up a 100kg bronze medal going 3-1 on the day. Stout played well placing 5th at 78kg. 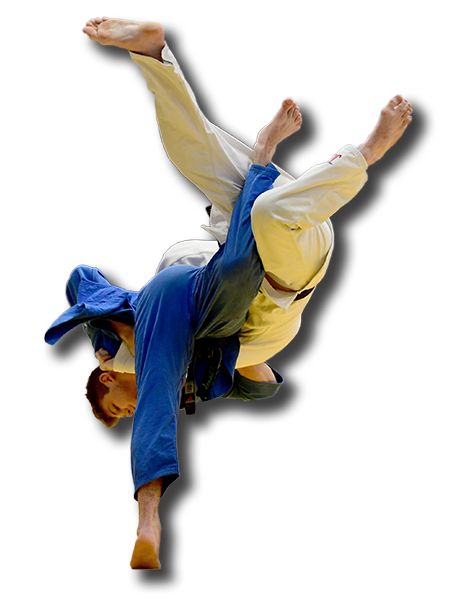 Ari Berliner (20) went 1-1 in 66kg and Darren Elcock (22) was 1-1 in 60kg gaining valuable experience for the future. 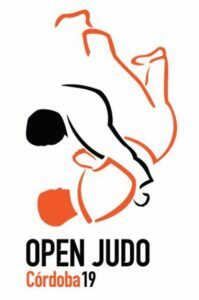 Kell Berliner (81kg) and Zach Judy (60kg) lost their opening matches and were eliminated to close out the JMJC participation in Argentina. All of the athletes stayed for the training camp in Cordoba. Next up was Santiago, Chile, March 23-24. JMJC veteran, Hannah Martin (30) joined the gang in Chile. 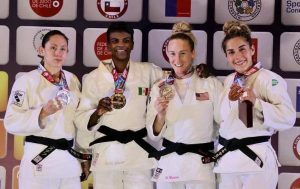 Keeve did one better this event by making it all the way to the final where he lost to Cedric Olivar from France, adding a silver to his bronze medal last week in Argentina. 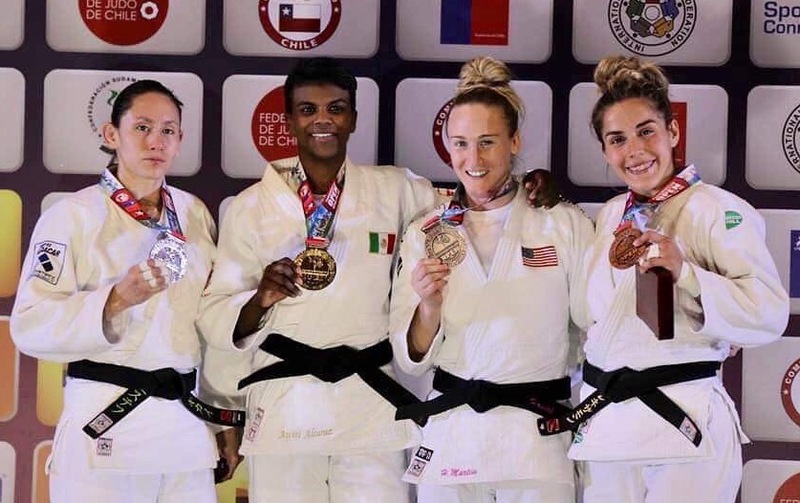 Burnt Hills High Graduate, Hannah Martin took a 63kg Bronze medal losing only in semis in a tight battle to eventual champ, Prisca Awiti Alcaraz from Mexico. Martin earned her 15th overall World Cup medal in her impressive career. Nicole Stout placed 7th in 78kg. Zach Judy went 1-1 at 60kg, Kell Berliner went 1-1 at 81kg and Ari Berliner (20) lost a tough opener in overtime at 66kg to close out the JMJC’s participation in Chile. 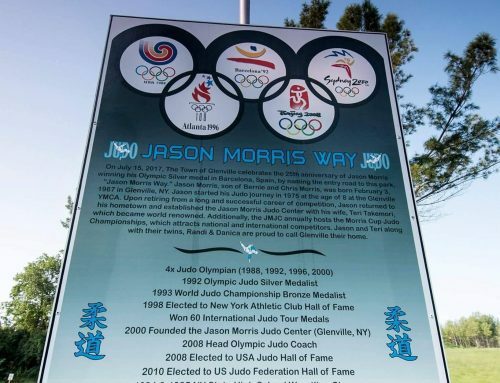 Jason Morris Judo Center featured in new book!